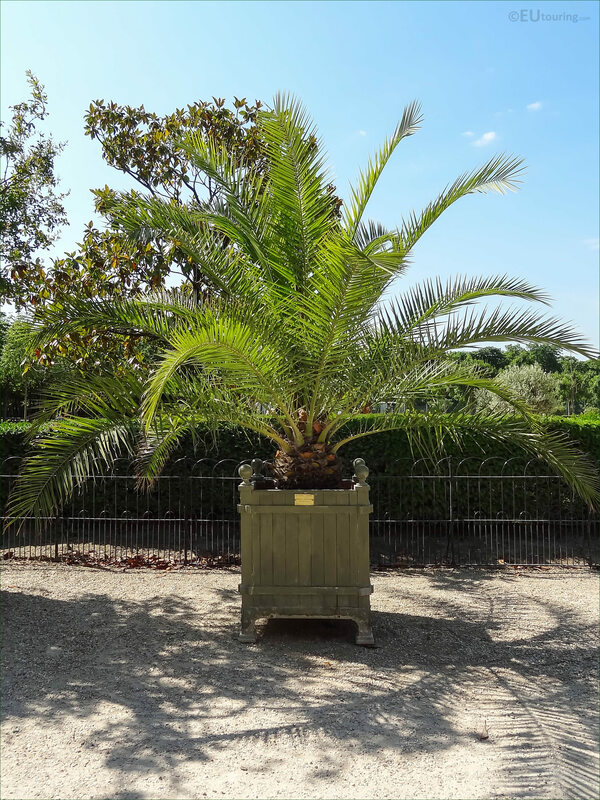 This first photograph shows a relatively young palm tree called a Phoenix Canariiensis, which has been planted into a pot and this was located next to the Rose Garden and Opposite the Orangery of the Luxembourg Gardens. 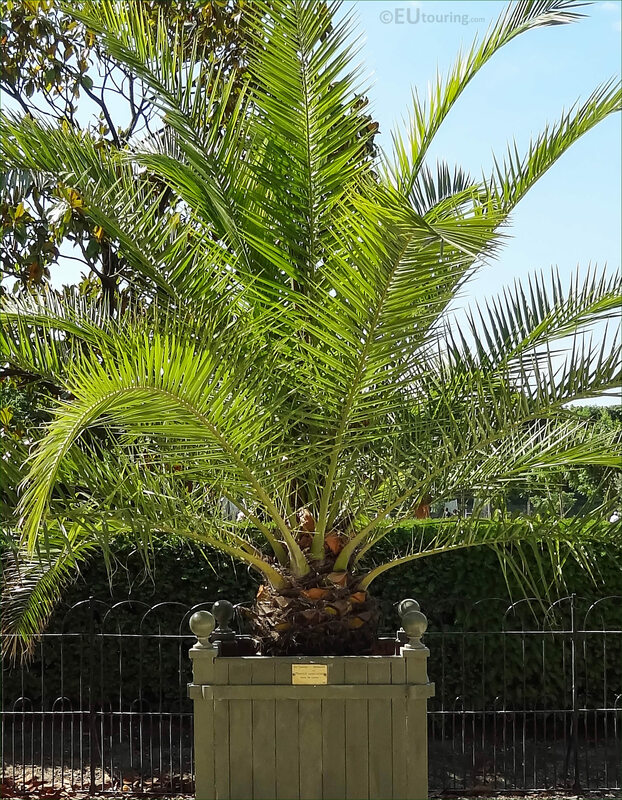 Now the Phoenix canariensis is actually the scientific name for the Canary Island Date Palm, which is native to these islands, although you will find this particular type of palm tree grown in numerous different places throughout the world including the United States, Australia, many countries around the Mediterranean, etc. 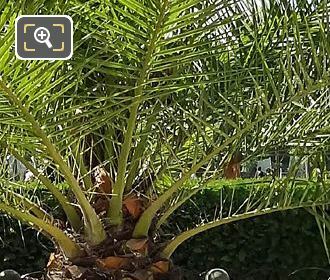 However, another common name for this type of palm tree is referred to as a Pineapple Palm, due to the fact that the base often looks like a pineapple, as you can see in this image, yet Spanish speaking countries call the Phoenix Canariensis Palmera Canaria. 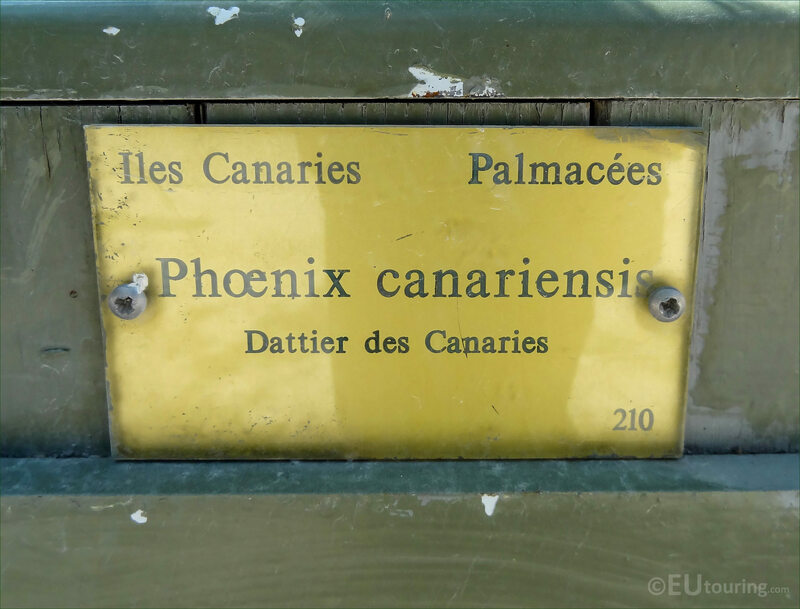 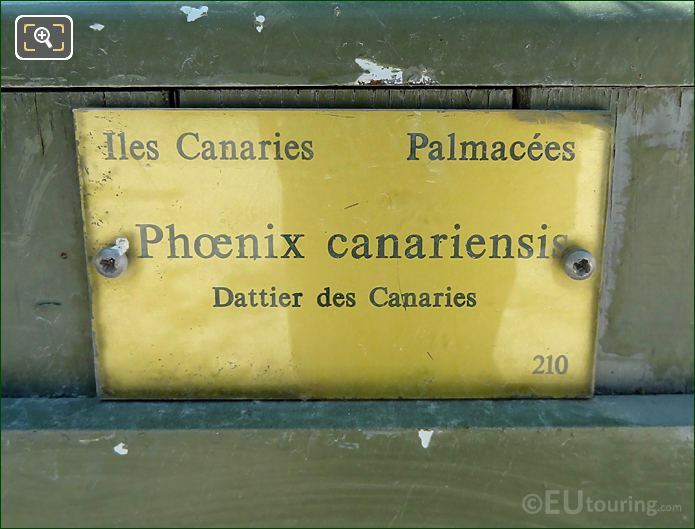 So this next photo shows the tourist information plaque fixed to the green wooden crate of the Canary Island Date Palm, and as you can see, this has a reference of Pot Number 210, and although the palms are kept inside the Orangerie of the Jardin du Luxembourg during the colder months, they are brought out into the gardens for visitors to enjoy between the months of May and October.